There are many excellent private and public transportation systems in the U.S. Unfortunately, human error, a manufacturing or design defect, or silly legislation, for example, can lead to mass casualties for unwary passengers and travelers. Take the City of Angels. Los Angeles runs one of the largest public transportation systems in the world. Relying largely on buses, the LA Metro system has become the envy of many cities. Furthermore, the LA Unified School District also operates thousands of buses every school day. Couple that with tour and private buses, there are thousands that travel the streets and highways of the city every day. Unfortunately, with such high numbers of buses on the road there are also accidents. Most bus drivers are well trained and avoid collisions, but that is not always the case. 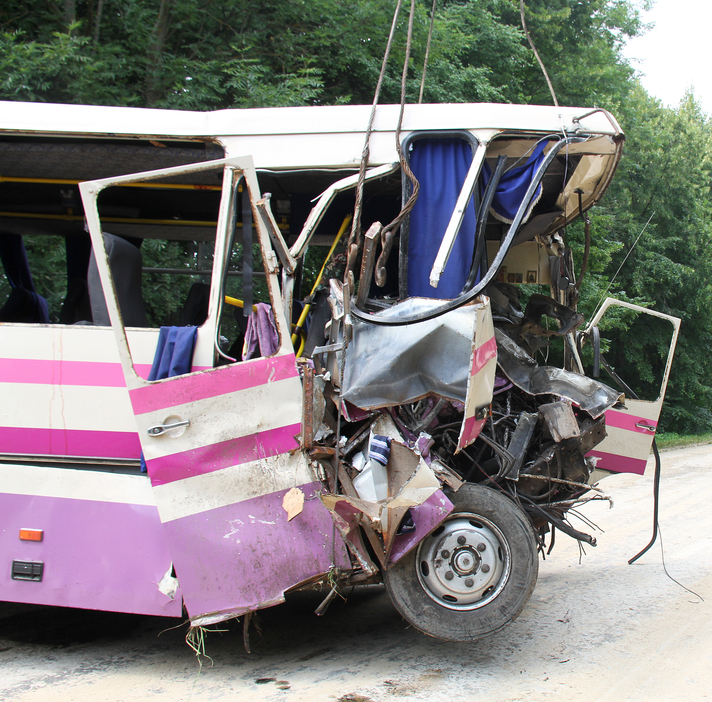 There have been increasing numbers of temporary bus drivers with a CDL, leading to such crashes on the road. Because of the sheer size and weight of these vehicles, bus injuries can be severe and even lead to death. If you or a loved one has been involved in a bus accident, the first step is to get immediate medical attention. The doctors can stabilize your condition and keep track of your injuries. Next, the need for a skilled attorney is paramount. With such an advocate specialized in personal injury and bus injuries, such as one of our personal injury warriors here. the victim will be able to seek restitution and help you balance that off kilter checkbook of yours. An attorney will be able to work with or challenge an insurance company seeking to avoid paying out or challenge the reckless party that caused the accident. The hundreds of victories and millions in compensation for accident victims by our many members speak for themselves. Our member lawyers can help with every step of the process. They can seek out medical professionals to treat you, and if necessary, some may even pay out of pocket in advancement. They can also work with experts to determine why and how the accident happened, and who is responsible. Most PI lawyers work on contingency– not asking for any money unless they recover for you. They can see if errors on the roadway helped contribute to the crash and whether and government agencies share and responsibility. Our members are committed to working both in and out of court for their clients. Many of them answer the phone at any time day or nigh,t and are able to build a strong rapport with their volley of clients. Some, such as Michael Ehline, will travel anywhere in Southern California for a consultation and seek the bus accident victim’s full medical, financial, and emotional recovery. Call us today for more information or for a consultation with one of our member lawyers nationwide.